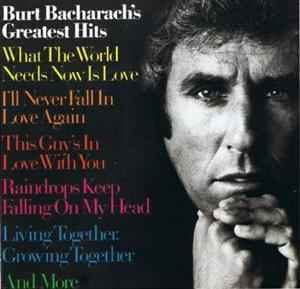 A compilation of songs from Burt Bacharach's "solo" albums containing his own arrangements of his songs. This is a Canadian pressing that is mastered at a relatively low level (no doubt in order to cramp more songs per side) but the sound quality is pleasant enough. A good introduction to Burt's songs on a single album. A classic... But the sound is notre very good and to low. If you are looking for Burt's greatest hits, I wouldn't suggest this one. The songs on this lp are more like demo's than what the hits actually sound like by other artists. I would suggest that you pass.